Vast Magnetic Canyon Opens up on the Sun — Choppy Space Weather Incoming? As the sun dips into extremely low levels of activity before the current cycle’s “solar minimum”, a vast coronal hole has opened up in the sun’s lower atmosphere, sending a stream of fast-moving plasma our way. To the untrained eye, this observation of the lower corona — the sun’s magnetically-dominated multi-million degree atmosphere — may look pretty dramatic. Like a vast rip in the sun’s disk, this particular coronal hole represents a huge region of “open” magnetic field lines reaching out into the solar system. Like a firehose, this open region is blasting the so-called fast solar wind in our direction and it could mean some choppy space weather is on the way. As imaged by NASA’s Solar Dynamics Observatory today, this particular observation is sensitive to extreme ultraviolet radiation at a wavelength of 193 (19.3 nanometers) — the typical emission from a very ionized form of iron (iron-12, or FeXII) at a temperature of a million degrees Kelvin. 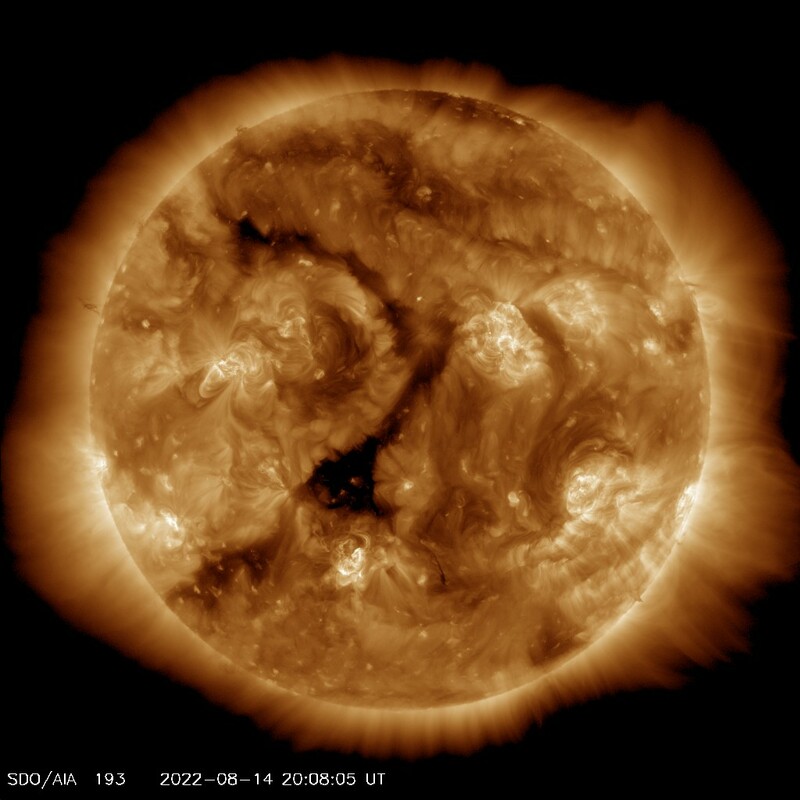 In coronal holes, it looks as if there is little to no plasma at that temperature present, but that’s not the case; it’s just very rarefied as it’s traveling at tremendous speed and escaping into space. The brighter regions represent closed field lines, basically big loops of magnetism that traps plasma at high density. Regions of close fieldlines cover the sun and coronal loops are known to contain hot plasma being energized by coronal heating processes. When a coronal hole such as this rotates into view, we know that a stream of high-speed plasma is on the way and, in a few days, could have some interesting effects on Earth’s geomagnetic field. This same coronal hole made an appearance when it last rotated around the sun, generating some nice high-latitude auroras. Spaceweather.com predicts that the next stream will reach our planet on March 28th or 29th, potentially culminating in a “moderately strong” G2-class geomagnetic storm. The onset of geomagnetic storms can generate impressive auroral displays at high latitudes. Although not as dramatic as an Earth-directed coronal mass ejection or solar flare, the radiation environment in Earth orbit will no doubt increase. 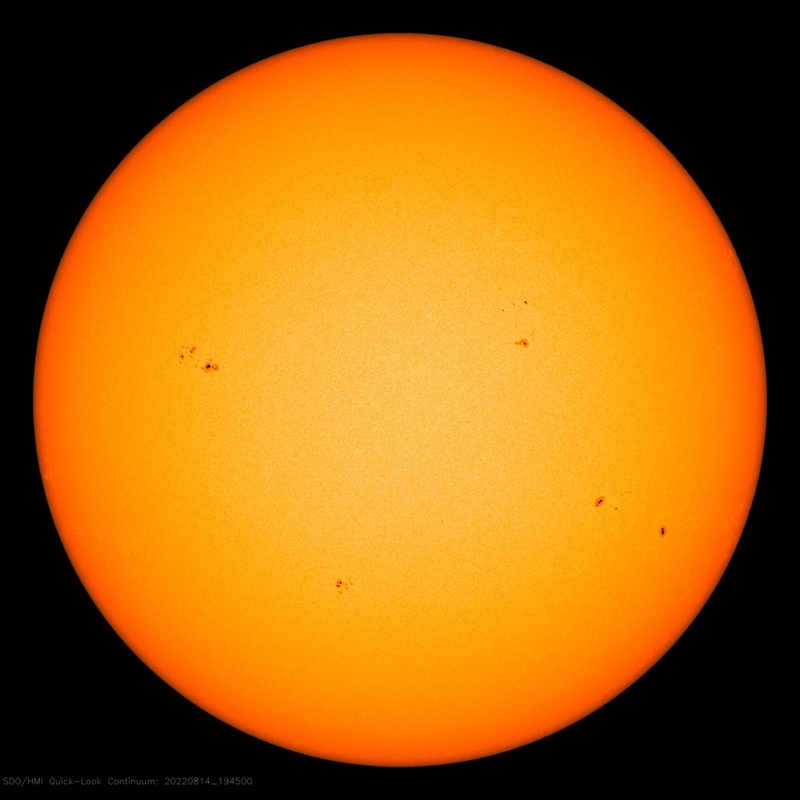 The sun is currently in a downward trend in activity and is expected to reach “solar minimum” by around 2019. As expected, sunspot numbers are decreasing steadily, meaning the internal magnetic dynamo of our nearest star is starting to ebb, reducing the likelihood of explosive events like flares and CMEs. This is all part of the natural 11-year cycle of our sun and, though activity is slowly ratcheting down its levels of activity, there’s still plenty of space weather action going on.